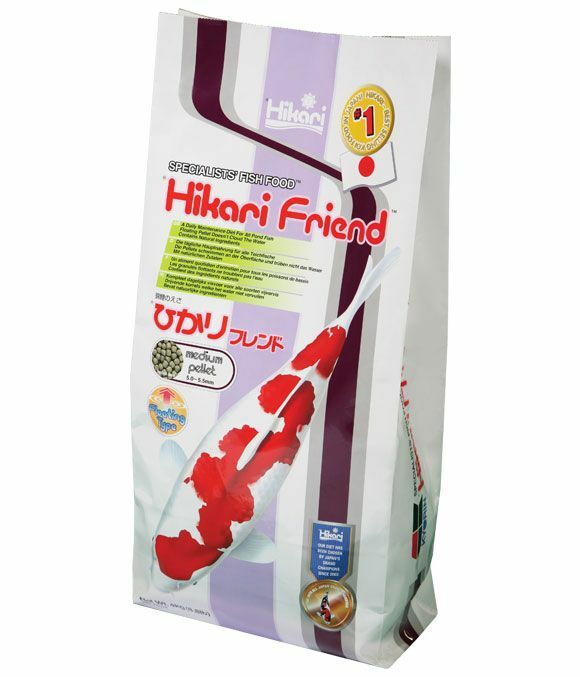 Hikari Friend is a complete and balanced diet which contains high quality ingredients which provide total nutrition to keep pond fish healthy when fed daily. Suitable for feeding when the water temperature is over 11°C. All types of pond fish including Koi normally kept in a pond environment. Feed the amount your fish will consume within a few minutes, based on your water temperature, pond condition and the activity level of your fish. Care should be taken to avoid over-feeding and always remove any uneaten food after the feeding period. There are currently no questions for Hikari Friend Pond Fish Food - be the first to ask one!